This statistic shows the number of individuals reached monthly by newspaper brands in the United Kingdom (UK) from January 2018 to December 2018, by nation and sector. 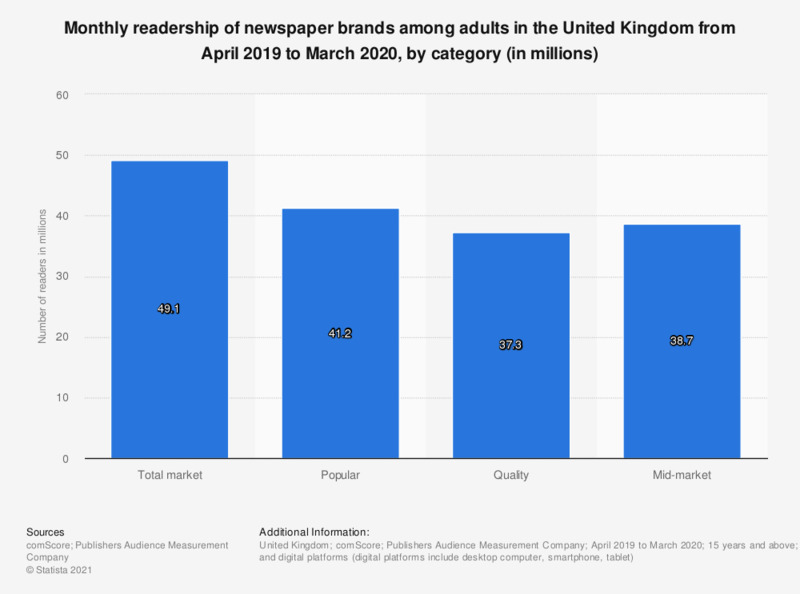 In Great Britain there were 32.3 million readers of mid-market newspaper brands per month. * Includes reach across print and digital platforms.